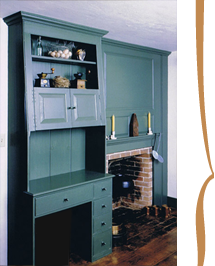 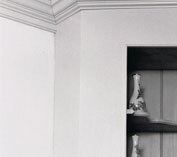 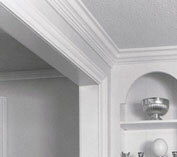 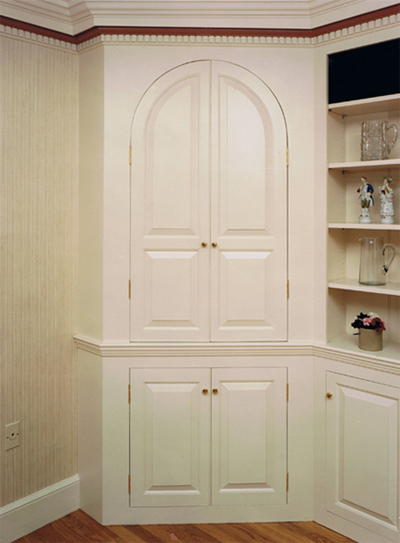 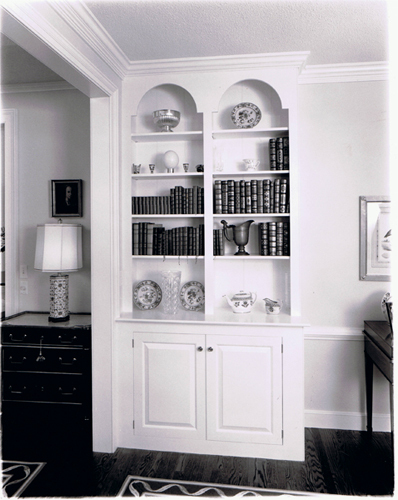 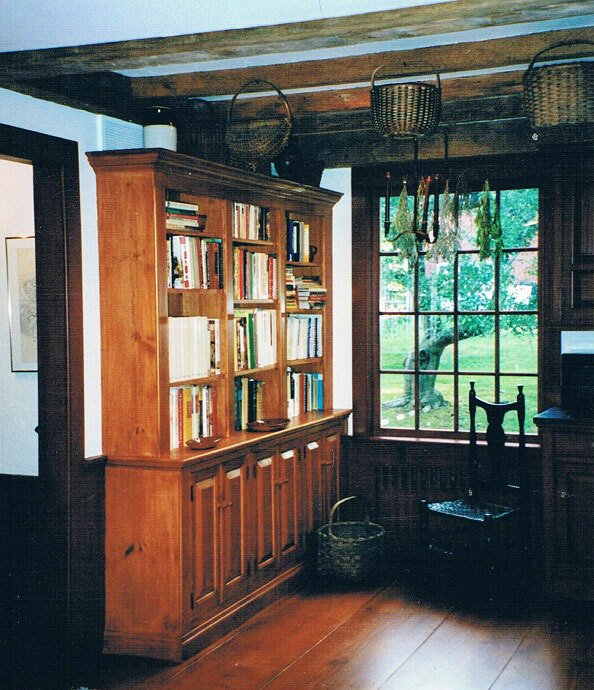 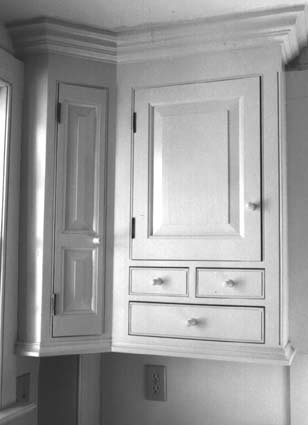 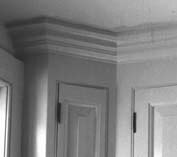 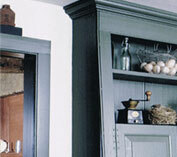 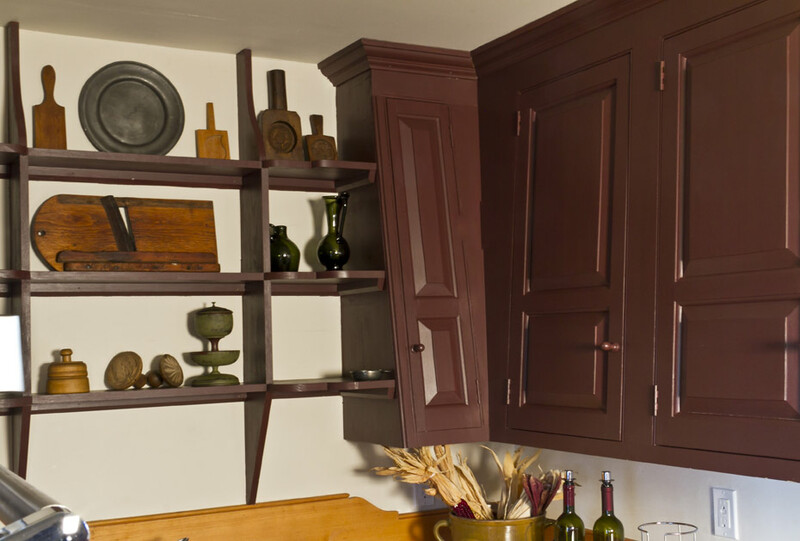 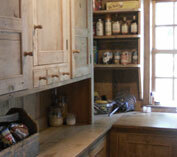 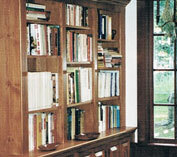 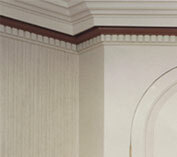 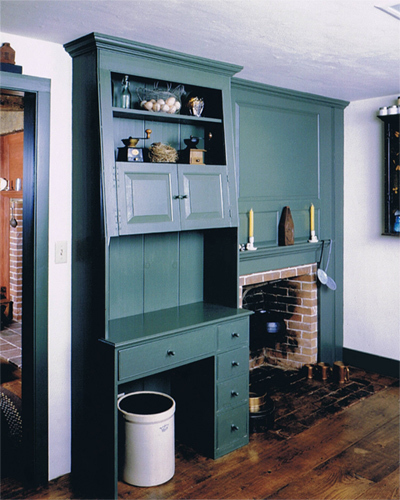 We build a wide variety of styles of cabinetry for the 18th century house..
We have a special affinity for the early pine furniture of New England, liking best the simplicity of those pieces, such as the kitchen dresser, or hutch, or the free standing single door cupboards with scroll facing. 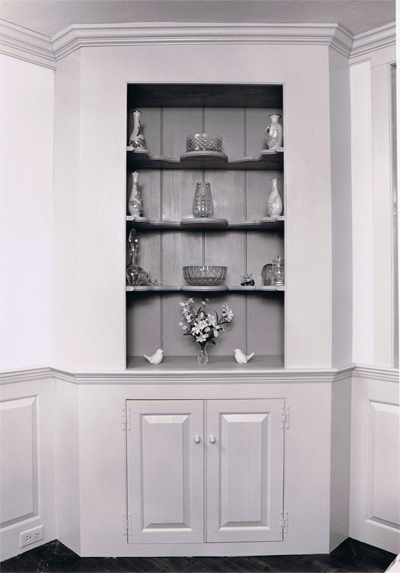 The 18th century corner cupboard in its more elaborate form, with fluted pilasters, carved rosettes, scalloped shelving and glass door was a place to display the fine china. 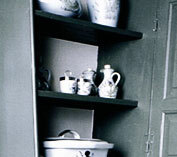 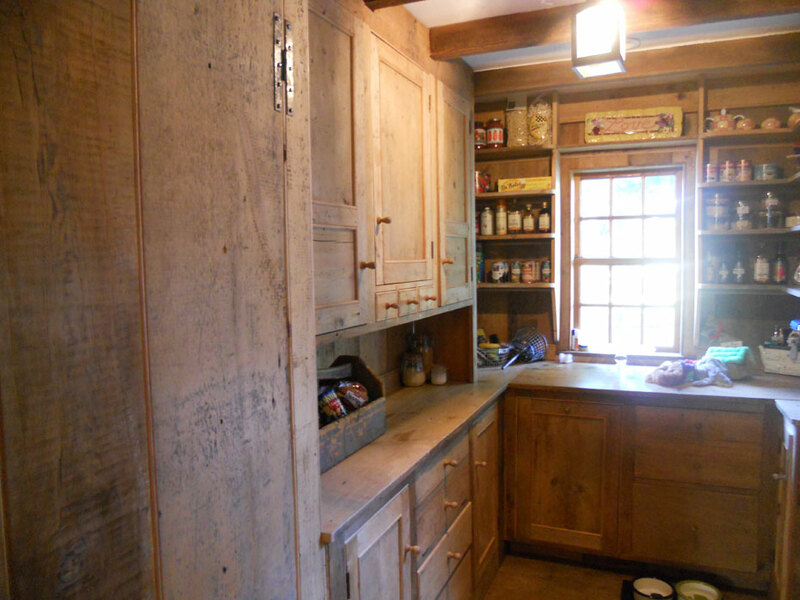 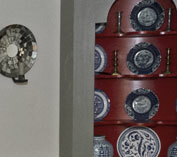 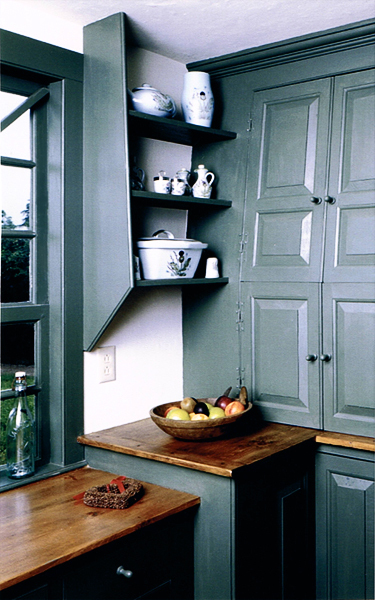 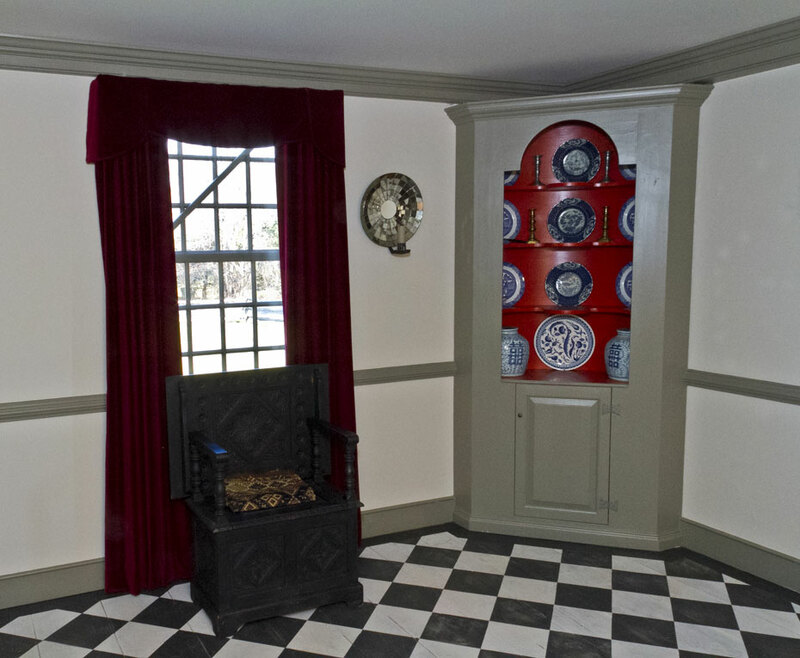 In its simpler presentation, the corner cupboard served as an additional scrubbed pine piece nestled in the keeping room laden with woodenware and pewter.